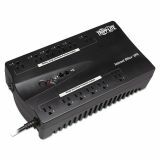 Tripp Lite Internet Office Ultra-Compact Desktop Standby UPS, 12 Outlets, 750 VA, 420 J - UPS offers standby protection for PCs and peripherals to prevent data loss and system downtime by providing battery-supported AC output during brownouts and blackouts. Ultra-compact, wall-mountable UPS includes 12 widely spaced, output receptacles to accommodate large transformer plugs. 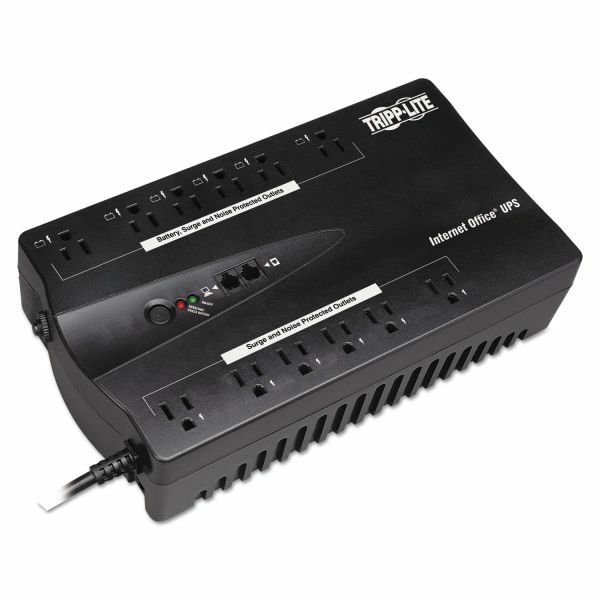 6 outlets provide full battery support and surge suppression for computers, monitors and other vital system components. 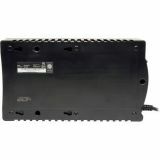 6 additional, surge suppression-only outlets are ideal for printers and other accessories not requiring battery support. Single-line, telephone suppression jacks protect modem or other peripherals with a standard dialup or DSL phone line connection. HID-compliant USB interface enables integration with built-in power management and auto-shutdown features of Windows and Mac OS X. Audible alarm and front panel LEDs offer status information regarding line and battery power operation. 750VA/450 watt power handling ability supports entry-level PCs for up to 45 minutes during power failures. TYPICAL APPLICATIONS: Basic PCs for home / home-office use, network workstations, audio/video equipment, home entertainment systems and other sensitive electronic devices.